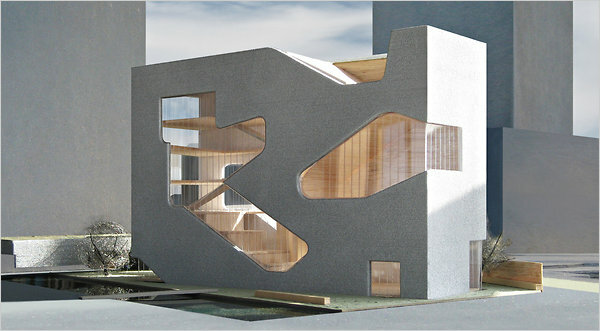 There may be no better example of the worrying state of American architecture than the career of Steven Holl. At 63, this New York architect is widely considered one of the most original talents of his era. His work has influenced a generation of architects and students. And over the last decade or so he has become a star in faraway places like Scandinavia and China, where he is celebrated as someone able to imbue even the most colossal urban projects with lyricism. Yet his career at home has been negligible. He has had only a handful of notable commissions in the United States, and his output in New York is embarrassingly slight: a modest addition to Pratt Institute’s school of architecture, a cramped (if underrated) gallery at the edge of Little Italy and a handful of interior renovations. So when the Queens Library Board of Trustees approved the design of the new Hunters Point community library this month, it was a well-deserved and long overdue breakthrough. The project, done in collaboration with Mr. Holl’s partner Chris McVoy and scheduled to begin construction early next year, will stand on a prominent waterfront site just across the East River from the United Nations. 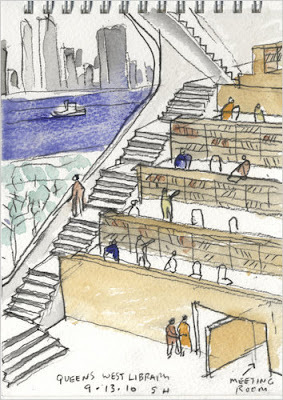 It is a striking expression of the continuing effort to shake the dust off of the city’s aging libraries and recast them as lively communal hubs, and should go far in bolstering the civic image of Queens. link al resto del artículo en el New York Times.